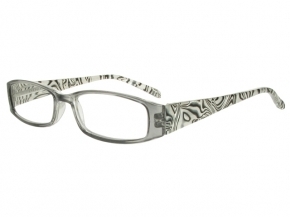 Ava Grey Frame Reading Glasses With Carry Pouch. Simply Stunning! 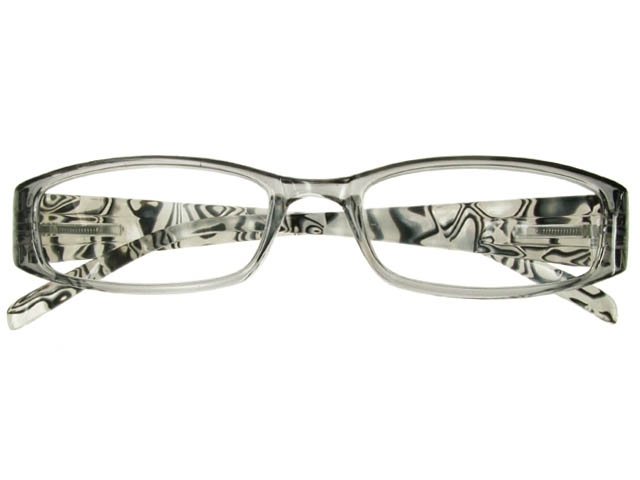 Translucent grey frame featuring shimmering pearl-shell arms – suitable for both everyday casual wear and elegant evening glamour! Complete with sprung arm-hinges for extra comfort, and matching carry pouch for safekeeping.